May 2018, General Mathematics Colloquium, University of Amsterdam. June 2017, Workshop on Algebraic and Combinatorial Phylogenetics, Barcelona, Spain. Rearrangement moves on rooted phylogenetic networks (slides). December 2016, Mathematics Colloquium, Leiden University. October 2016, Pattern Recognition and Bioinformatics Colloquium, TU Delft. July 2016, Workshop on Flexible Network Design (FND), VU Amsterdam, Reconstructing phylogenetic networks from subnetworks. June 2016, What is…? seminar, Delft Institute of Applied Mathematics, TU Delft, What is a phylogenetic network? July 2015, Phylogenetic networks workshop, Singapore, Reconstructing phylogenetic level-1 networks from nondense binet and trinet sets (slides). May 2015, DIAMANT Symposium, Veenendaal, Reconstructing evolutionary histories. March 2015, TU Delft Optimization Seminar, Reconstructing phylogenetic networks from subnetworks. July 2014, Greifswald Phylogenetics Meeting, Greifswald, Hybridization Number on Three Trees. 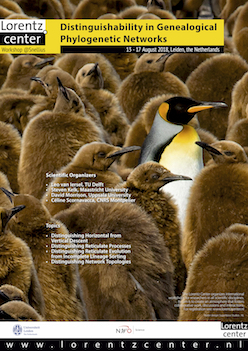 June 2014, EUSACOU Workshop, Tinbergen Institute, Amsterdam. Parameterized algorithms for reconstructing phylogenetic networks. November 2013, Alfréd Rényi Institute of Mathematics, Budapest, Hungary. Reconstructing Phylogenetic Networks. July 2013, Midsummer Combinatorial Workshop (MCW), Prague, Czech Republic. Reconstructing Phylogenetic Networks (slides, abstract). 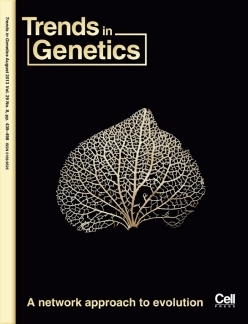 May 2013, Mathematical and Computational Evolutionary Biology (MCEB), Montpellier, France. Approximation Algorithms for Nonbinary Agreement Forests (poster). October 2012, The Future of Phylogenetic Networks, Leiden, The Netherlands. A summary of the week (slides). 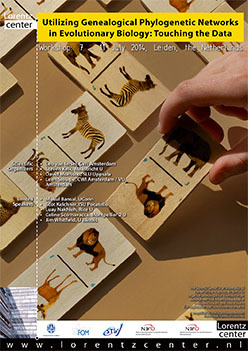 June 2012, Mathematical and Computational Evolutionary Biology (MCEB), Montpellier, France. Hybridization Networks for Multiple Trees (poster). April 2012, University of East Anglia, United Kingdom, Minimizing Hybridizations. January 2012, SOUTH, The 16th Annual New Zealand Phylogenetics Meeting, Kaikoura, New Zealand, Approximating the minimum number of reticulations needed to explain two conflicting gene trees (slides). January 2012, Gijs de Leve Prijs Reward Lecture, LNMB Conference, Lunteren, Netherlands. April 2010, Adelaide Phylogenetics Conference, Australia, Phylogenetic networks do not need to be complex. February 2010, DOOM, The 14th Annual New Zealand Phylogenetics Meeting, Mount Ruapehu, New Zealand, Avoiding a Genome of Eden. December 2009, TACO workshop on Treewidth and Combinatorial Optimization, Eindhoven University, The Netherlands, Treewidth and the Genome of Eden. November 2009, Physoc Seminar, University of Canterbury, Christchurch, New Zealand, Using Mathematics to Reconstruct the Evolution of Species. October 2009, Allan Wilson Centre Meeting, Palmerston North, New Zealand, Phylogenetic Networks Do not Need to Be Complex. December 2008, International Symposium on Algorithms and Computation (ISAAC 2008), Gold Coast, Australia, Constructing the Simplest Possible Phylogenetic Network from Triplets. June 2008, Mathematics and Informatics in Evolution and Phylogeny, Montpellier, France, Level-k Phylogenetic Networks. April 2008, Algorithms seminar, Eindhoven University, The Netherlands, On the Simplicity of Evolution: Algorithms for Phylogenetic Networks. April 2008, Conference on Research in Computational Molecular Biology (RECOMB 2008), Singapore, Constructing Level-2 Phylogenetic Networks from Triplets. January 2008, Conference on the Mathematics of Operations Research, Lunteren, The Netherlands, Level-k Phylogenetic Networks: Uniqueness and Complexity. November 2007, DIAMANT/EIDMA Symposium, Soesterberg, The Netherlands, Constructing Evolutionary Networks from Triplets. February 2007, EIDMA Seminar Combinatorial Theory, Eindhoven University, The Netherlands, Combinatorial Problems in Genetics. January 2007, Conference on the Mathematics of Operations Research, Lunteren, The Netherlands, Resolving Ambiguity in Genetical Data. December 2006, Genome Informatics AG-seminar, Bielefeld, Germany, Sorting pancakes. 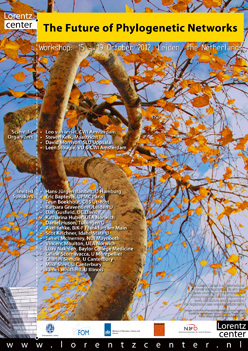 October 2006, SIREN 2006 poster presentation, Utrecht, The Netherlands, Computing evolutionary distance by genome rearrangements: a combinatorial approach, Phylogenetic trees for yeasts and Combinatorial approaches in phylogenetics: two examples. April 2006, Algorithms seminar, Eindhoven University, The Netherlands, Lots of Problems about Strings and Prefix Reversals. October 2005, Workshop on Algorithms in Bioinformatics 2005, Mallorca, Spain, On the Complexity of Several Haplotyping Problems. May 2005, EIDMA Seminar Combinatorial Theory, Eindhoven University, The Netherlands, Two Complexity Results in Computational Biology.